Gothic horror set in the then modern day about an evil type being bought back to life by an idiot ancestor. As painful as it is to see the once great Joseph Cotten slumming it as the titular Baron this is a film that has lots going for it. 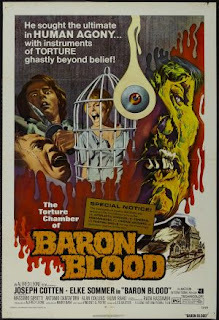 Light on gore but has oodles more imagination that the majority of schlock that passes for horror nowadays.